All of you feeling the pinch of the credit crunch this Christmas, worry no more! For the price of a simple pint of something golden, you can pick yourself up a mobile phone to give to a loved one. That's right, for £2.89 The Carphone Warehouse is offering the W180, which might have no web browsing, camera or video playback, but it has got an FM radio. 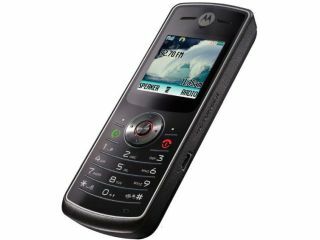 Not only that, but it has Crystal Talk technology, which is basically just an earphone and microphone for all intents and purposes, and over 39 ringtones. 40, in fact. They might be a little upset that you didn't shell out a few more pennies on the Samsung that costs just a fiver, but then again some people are never pleased at Christmas. Just remind them that it's not about the cost of the present, it's the thought that counts... and then browse the web on your iPhone to rub it in.